Keith Cameron (K. C.) Wilson was born on 3 September 1900 at East Adelaide, South Australia, to Algernon Theodore King Wilson and his wife, Lillian Charlotte, née Laurence. Keith Cameron’s great-grandfather, Thomas Wilson, who migrated to South Australia from England, was a solicitor, as were his grandfather and father. K. C. himself, and his two sons, would enter the law. The family were also staunch supporters of the Church of England. Wilson was educated at The Collegiate School of St Peter, where his great-uncle, the Reverend Theodore Percival Wilson, had been the first headmaster. Determined to fight for his country, Wilson enlisted in the AIF on 19 October 1918, shortly after his eighteenth birthday, but was demobilised a month later, following the armistice. He then sat for, and passed, the Leaving Honours examination, going on to study law at the University of Adelaide, which he was able to do only with the financial assistance of a bursary. Articled to his father’s law firm for the sum of ten shillings a week on which, it seems, he had to live, Wilson took on a measure of responsibility for the firm when his father became ill for six months. In 1922 he graduated and was admitted to the South Australian Bar. He then went into partnership with his father, developing the practice in country areas. Wilson became interested in politics following the waterfront strike of 1928. When Premier Richard Butler called for volunteers to load ships and serve as special constables, Wilson became an organiser of the Essential Services Industrial Volunteers, and at a golf club dance jumped on a table, replete in white tie and tails, to rally friends to the cause. After the strike collapsed, Wilson and some like-minded companions felt that politics was one way in which they could continue to serve their country. They considered the formation of a new political party but chose instead to join the Liberal Federation and reform it from within. So began in 1929 the Political Reform League with Wilson as its first president. On 24 May 1930 at St John’s Anglican Church, Adelaide, Wilson married Elizabeth (Betty) Hornabrook Bonython, chairwoman of the women’s section of the Political Reform League, and daughter of the Lord Mayor of Adelaide. The following year Wilson became part of the new Emergency Committee which helped unite non-Labor candidates for the March election. By 1932 the Political Reform League was renamed the Young Liberal League, and joined with the Liberal Federation and the Country Party to form the Liberal and Country League (LCL). As chairman of the Young Liberals’ Industrial Committee, Wilson was instrumental in the creation of the Industries Assistance Corporation in South Australia, of which he was a member. He was also an ex-officio member of the Young Liberals’ Housing Committee, established to investigate the problems of housing, since the average worker had difficulty in finding the money to rent, let alone buy, a house. The Committee’s greatest achievement was its proposal for what became Australia’s first public housing authority, the South Australian Housing Trust, established in 1936. In 1934 Wilson became vice-president of the LCL and chairman of its organising committee. He would hold these positions until 1937, and again from 1944 to 1946. In 1934 he was invited to contest LCL preselection for the federal seat of Boothby, then held by the former Labor man, John Price. When the two candidates tied for preselection, the LCL endorsed both. Price won the seat, Wilson writing: ‘Having become “blooded” for Parliament, I had to go on’. His next opportunity came in 1937 when he stood for the Senate. Successful, he took up his seat on 1 July 1938, but even before that had made several trips to Canberra to acquaint himself with the National Health and Pensions Insurance Bill. The bill proposed to abolish the means test for old age and invalid pensions, a development that Wilson supported strongly, and to introduce a national compulsory contributory insurance scheme. Soon after his entry to the Senate, Wilson and fellow South Australian, Senator Uppill, proposed the formation of a voluntary wheat stabilisation scheme designed to provide price stability for the wheat industry. Wilson introduced the scheme as a private senator’s bill—the Wheat Industry Insurance Bill—in December 1938, but the legislation made little progress and lapsed with the prorogation of Parliament in December 1939. War was declared on 3 September 1939—Wilson’s thirty-ninth birthday. When the age limit for enlistment was increased from thirty-five to forty in May 1940, Wilson transferred from the Militia Forces (in which he had enlisted in December 1938) to the AIF. On taking leave from the Senate, the Labor Party provided him with a pair, but as Wilson later discovered the arrangement did not cover secret ballots, normally used in the chamber only for the election of officers of the Senate: in July 1941 Labor’s James Cunningham owed his election as President of the Senate in part to Wilson’s absence. Farewelled as the ‘young chap’ by his fellow senators, Wilson became the ‘old chap’ to his mates in the 2/7 Field Regiment in the Middle East. Beginning as a gunner, he was soon promoted to lance-sergeant. Commissioned in January 1942, he became a courts-martial officer and later judge advocate at AIF Headquarters, was promoted to captain in March and to major in December. 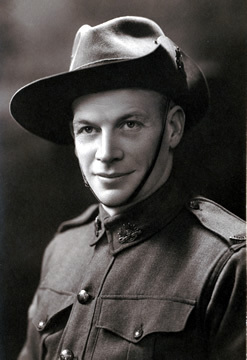 He returned to Australia in February 1943 and to the Senate the following month, but continued to serve in the army as a legal officer in Melbourne. From April 1944 until his discharge in October 1945, he was chief legal officer in Adelaide. During his absence overseas his wife attended to his parliamentary correspondence. Wilson had returned to Australia with an enhanced social conscience, but also with a strong conviction that people must be given the opportunity to help themselves. He had been impressed by the calibre of the men he fought with: ‘I am satisfied that magnificent men are produced in this country. With men such as we send overseas, there is nothing that we cannot do in Australia’. In 1943 he donated £1300 to establish the K. C. Wilson Housing and Welfare Fund, which continued until May 2000 to give grants and loans to 2/7 Field Regiment members. Wilson believed that members of the AIF should receive due recognition for their sacrifice, arguing that ‘no member of our fighting forces should be discharged until a job can be provided for him’. His motion to that effect won Senate support in June 1943. His view that a soldier’s war pension of 25 shillings a week should not be classed as income when determining eligibility for pension benefits eventually prevailed in 1950. He would become chairman of the War Blinded Welfare Fund, president of the Legacy Club of Adelaide, vice-president of the Burnside Returned Soldiers’ League, and first president of the Units Clubs Association. Wilson lost his seat at the August 1943 election, his term in the Senate ending in June 1944, commenting, like so many other parliamentarians before and since, ‘that those things which one imagines that he can get done quickly very often take a great many years before they are fulfilled’. Uneasy about returning to a desk job in his law firm after several years away, Wilson (with his wife) invested in a small farm at Cockatoo Valley. Unsuccessful as the LCL candidate for the federal seat of Boothby in September 1946, in December 1949 he won the newly created seat of Sturt. Wilson was re-elected at the election of April 1951, following the simultaneous dissolution. In 1952 he seized the opportunity to work on the newly established Liberal Party policy committees, which he described as ‘Government Members Parliamentary Committees’, and which served to keep Menzies’ spirited backbenchers usefully employed. Concerned by his Government’s continued failure to fulfil its promise to introduce a contributory insurance scheme, he urged the abolition of the means test on pensions. But the Government went to the 1954 elections proposing not abolition but liberalisation of the means test. Labor, once opposed to abolition, now supported it in an attempt to win the election. The Government was returned with the loss of five seats including that of Sturt. Wilson felt he had been placed in an impossible position. When the Aged Persons Homes Bill became law later in 1954, Wilson had the satisfaction of knowing that it had been the product of his initiative. The Act provided a federal grant for private organisations across Australia to build homes for the aged. An active leader of many charitable and benevolent organisations, in 1951 Wilson had been honorary solicitor to the South Australian branch of the Australian Pensioners’ League. As chairman of the board of Aged Cottage Homes from its establishment in 1952 (until 1972) Wilson sought a £1 for £1 government subsidy to match funds raised by pensioner volunteers to build flats for pensioners in need. Aged Cottage Homes publicised the plight of pensioners by inviting the Prime Minister to lay the foundation stone for the first ‘cottages’ in December 1953. In 1954 Menzies made a federal subsidy for aged housing part of his election policy, implementing the scheme on his return to government. With this assistance, Aged Cottage Homes built some six hundred houses over the next fifteen years. Menzies believed that none of the Government’s schemes ‘was ever more widely welcomed by the public or gave us a deeper satisfaction’. Wilson’s Aged Cottage Homes provided a model for Richard Cleaver, MHR, who established Swan Cottage Homes in Western Australia in 1960. Wilson’s return to his legal practice after his 1954 defeat was brief as he regained Sturt at the federal election of December 1955. He realised even more that he and his colleagues must specialise and organise if they were to gain Cabinet’s attention and influence Government policy. He pressed the Government on a range of social issues, including further liberalisation of the means test and increased welfare benefits. He worked through the Government Members Social Services Committee, which he would chair for more than ten years, and claimed some success in having his recommendations accepted by the Cabinet. For Wilson, the committee’s success demonstrated his belief that backbenchers ‘can play a most effective part in the legislation of the country’. With the same philanthropic attitude he had shown to the aged, Wilson had taken up the cause of migrants. On his own telling, in the early 1950s at Gepps Cross Hostel in Adelaide he ensured, with the assistance of the Housing Trust, that communal dining was replaced with individual kitchenettes for the hostel’s 1600 migrants. Appointed in 1958 as chairman of the Immigration Advisory Council, which assisted the Minister for Immigration, he later became president of the Good Neighbour Council. As far back as his first speech in the Senate in October 1938, he had welcomed ‘the right type of migrants’, urging the Government to ‘seize every opportunity to get [them]’. Now he found such New Australians within his own electorate. In January 1966 Wilson was appointed KB for his public service and social welfare work. Deciding not to stand at the 1966 election, he had envisaged a retirement doing charitable work with time at his farm tending his land and reading books. But in 1968 he headed the Investigating Committee set up by the LCL to examine (in the light of much disputation) its own structure and function. The committee’s recommendations had a belated impact with the emergence of the Liberal Movement within the LCL in 1972. Sir Keith Wilson, a man of grace and charm, unfailing courtesy and the highest principles, died on 28 September 1987 and was buried at the Centennial Park Cemetery after a memorial service at St Matthew’s Anglican Church, Marryatville. The Leader of the Opposition in the Senate, Fred Chaney, extended his sympathy to Wilson’s widow, Lady Wilson, and to the three children of the marriage, sons Ian and Andrew, and daughter Elizabeth. Senator Chaney said that Wilson’s success would ‘be emulated by few of us in this place—in terms of the very substantial improvement in the lives of many Australians that he affected’. Wilson had kept closely in touch with members of his old regiment, whose tribute was headed ‘There Was a Man’. Ian Wilson succeeded his father as MHR for Sturt in 1966 and, apart from the years between 1969 and 1972, held the seat until 1993. He too developed an interest in migrants and the aged, was a reformer in the Liberal Party, and became chairman of the Federal Parliamentary Liberal Party Social Services Committee (1968–69). At various times between 1981 and 1983, Ian Wilson was Minister of Home Affairs and Environment, and Minister for Aboriginal Affairs, also serving as Minister Assisting the Minister for Social Security. S. C. Wilson and K. C. Borrow, The Bridge over the Ocean: Thomas Wilson (1787–1863) Art Collector and Mayor of Adelaide, Adelaide, 1973, pp. 36-7, 85, 229; K. C. Wilson, Memoirs of Keith Cameron Wilson: Reminiscences of a Backbencher, (in possession of Wilson’s son, Ian Wilson); John Tregenza, Collegiate School of St Peter Adelaide: The Founding Years 1847–1878, Collegiate School of St Peter, St Peters, SA, 1996, pp. 55–7; Wilson, K. C.—War Service Record, B2455, NAA. Advertiser (Adel. ), 28 Sept. 1928, p. 15, 29 Sept. 1928, p. 15; A. Grenfell Price, ‘The Emergency Committee of South Australia and the Origin of the Premiers’ Plan, 1931-2’, South Australiana, Mar. 1978, pp. 5–47, and photograph; Muriel Farr (comp. ), Origins of the Liberal and Country League of South Australia, Griffin Press, Adelaide, 1957, pp. 14-16; Advertiser (Adel. ), 30 Nov. 1937, p. 19; SAPD, 1 Dec. 1937, p. 2049; Susan Marsden, Business, Charity and Sentiment: The South Australian Housing Trust 1936–1986, Wakefield Press, Netley, SA, 1986, pp. v, 16–21; Advertiser (Adel. ), 29 Sept. 1987, p. 5. K. C. Wilson and O. Uppill, A Wheat Equalization Scheme, Commercial Printing House, Adelaide, 1938; CPD, 7 Dec. 1938, p. 2779, 8 Dec. 1938, pp. 2971–5, 30 Nov. 1939, pp. 1794-8. Wilson, K. C.—War Service Record, B883, NAA; CPD, 30 Mar. 1944, p. 2324, 1 July 1941, pp. 565–6; Harry Evans (ed. ), Odgers’ Australian Senate Practice, 10th edn, Department of the Senate, Canberra, 2001, p. 247; Senate Registry File, A8161, S286, NAA. CPD, 7 Oct. 1987, p. 736, 30 Mar. 1944, p. 2327; David Goodhart, The History of the 2/7 Australian Field Regiment, Rigby, Adelaide, 1952, p. 274; Letter, C. S. McArthur to Lady Wilson, 27 May 2000, Wilson Papers (in possession of Ian Wilson); CPD, 23 Mar. 1943, p. 2159, 25 June 1943, pp. 356-61, 1 July 1943, pp. 636-8, 17 Feb. 1944, pp. 268-71, 18 Feb. 1944, p. 331, 25 Oct. 1950, p. 1360, 21 Nov. 1950, p. 2734; T. H. Kewley, Social Security in Australia 1900–72, 2nd edn, SUP, Sydney, 1973, p. 274; Advertiser (Adel. ), 1 Jan. 1966, p. 5. CPD, 30 Mar. 1944, pp. 2327–8; Advertiser (Adel. ), 16 May 1952, p. 2; CPD, 25 Oct. 1950, pp. 1359-60, 21 June 1951, pp. 242–4, 14 Nov. 1951, pp. 1986–7; SMH, 4 May 1954, p. 2, 20 May 1954, p. 5; A. W. Martin, Robert Menzies: A Life, vol. 2, MUP, Carlton, Vic., 1999, pp. 261–3. CPD, 7 Oct. 1987, pp. 733–5, 15 Oct. 1952, p. 3131; Interview, Senator Gordon Davidson, 11 July 1984, TRC 4900/41, NLA; Advertiser (Adel. ), 15 Dec. 1953, p. 3; SMH, 5 May 1954, p. 1; CPD, 4 Aug. 1954 (R), p. 13, 3 Nov. 1954 (R), p. 2553; Kewley, Social Security in Australia, pp. 315–16; Robert Gordon Menzies, The Measure of the Years, Cassell Australia, North Melbourne, Vic., 1970, p. 125; Letter, Wilson to Richard Cleaver, MHR, 22 Oct. 1981, Notes for a speech in WA, Wilson Papers. CPD, 13 Sept. 1966 (R), pp. 808–10, 14 May 1952, p. 344, 19 Feb. 1953, pp. 136–7, 7 Oct. 1987, pp. 733, 736, 5 Oct. 1938, p. 361. Advertiser (Adel. ), 1 Jan. 1966, pp. 1, 5; Information provided by Ian Wilson; Dean Jaensch and Joan Bullock, Liberals in Limbo: Non-Labor Politics in South Australia 1970–1978, Drummond, Richmond, Vic., 1978, pp. 38–9, 50–5; Allan Perryman, ‘More than a Myth’, in A Liberal Awakening: The LM Story, Investigator Press, Leabrook, SA, 1973, pp. 82–9. CPD, 7 Oct. 1987, pp. 733–6, 26 Oct. 1987 (R), pp. 1465–6; Advertiser (Adel. ), 29 Sept. 1987, p. 5; Dial Sight (SA), Jan. 1988, p. 3; Jaensch and Bullock, Liberals in Limbo, pp. 61-2; Murray Hill, ‘Reaction and Reform’, in A Liberal Awakening, pp. 51-3. This biography was first published in The Biographical Dictionary of the Australian Senate, vol. 2, 1929-1962, Melbourne University Press, Carlton, Vic., 2004, pp. 294-298.